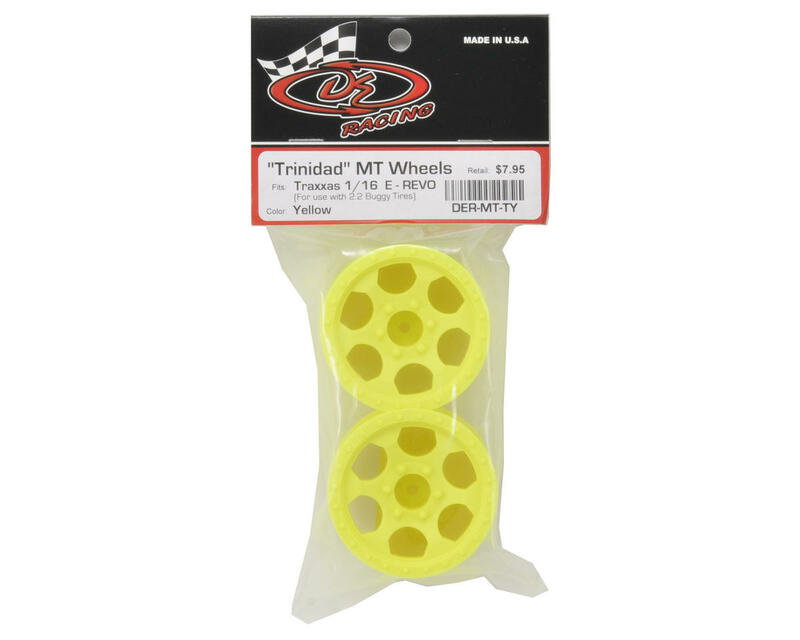 This is a set of two DE Racing Trinidad MT Wheels, and are intended for use with the Traxxas 1/16 E-Revo truck. 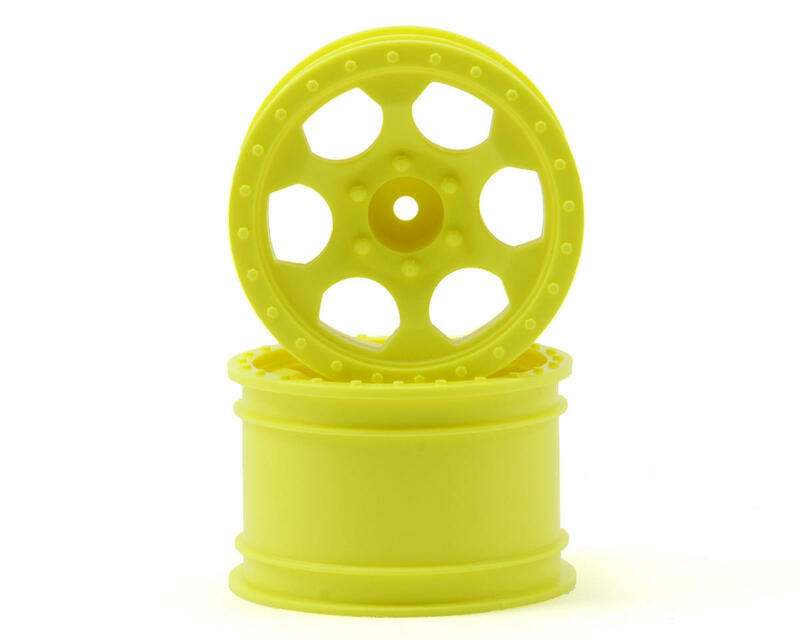 Whether it's railing the fast lines of the local track or high flying back flips off kicker ramps, DE Racing has your Traxxas 1/16 E-REVO wheel needs covered with the 2.2 Trinidad MT. Made to work with most all popular 2.2 size buggy tires, these wheels feature DE's signature Trinidad styling and virtual bombproof strength along with an increased track width for improved performance and handling. With tires available to suit any surface, a stylish appearance in 4 colors, and renowned DE Racing durability, who says you can't have it all!